Wearables are being used by users to measure their activity and provide them with feedback that can help them improve their health. Today, a new startup called Lightwave is using wearable technology to provide analytics around live events for performers and artists. The project was started by Rana June, who was co-founder and VP of marketing at social ad and analytics startup Medialets. But most people know her best from her days touring as the first big iPad DJ, back when creating music on the tablet was a hugely novel thing. After several years of taking time off and dreaming up the next big thing, she decided to do something that would combine both her tech and music experience. The result is Lightwave, which provides actionable analytics for real-world events. At the heart of the project is a wearable wristband that measures a number of different user interactions — movement, audio levels, and temperature — to provide live performers with real-time data about people in the audience. “When you’re a performer, you have no idea if the guy in the back of the room is having fun or not,” Rana June told me. Lightwave changes that by collecting and visualizing crowd data. That gives artists a way to customize the experience based on audience feedback. During the show, attendees could unlock certain events based on different activity levels, creating customizable and programmable experiences for each show. 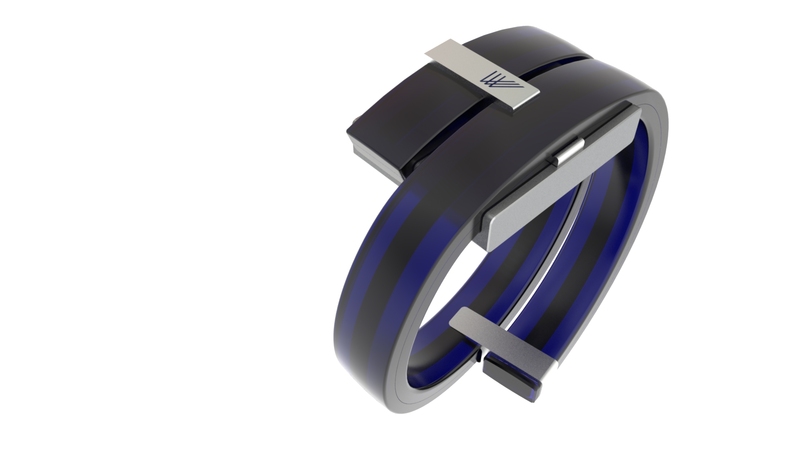 The plan is for an artist or brand sponsoring an event would give away Lightwave bracelets, which could be used to augment the user experience. Like 3-D glasses, at the end of the event, organizers would collect them back and could reuse them. “When you enter a concert, instead of putting a paper wristband on someone, you put an intelligent wristband on them,” she said. The first test of the Lightwave technology will be at SXSW on March 10, where Pepsi is putting on an exclusive “bioreactive” concert with DJ A-Trak. But it’s looking to be used in more events over time.